Saniplus is a high capacity unit that will enable you to install a full bathroom on any finished floor. 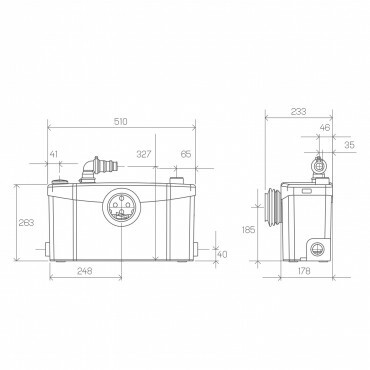 Its durable motor will enable long term and reliable running. Saniplus is ideal to install an additional bathroom including a toilet, basin, shower, or bath. 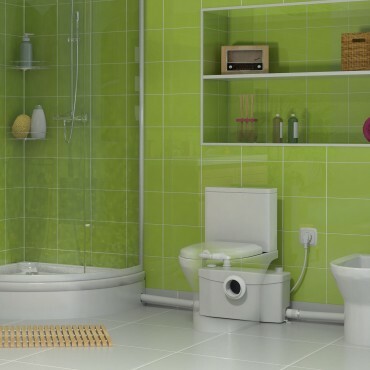 It is a high capacity unit that will enable you to install a full bathroom on any finished floor. 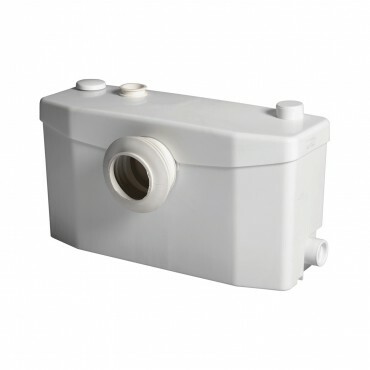 The pump sits behind a P-trap toilet and waste water can be drained by gravity from a shower, bath, wash-basin, and washing machine to the inlets on either side of the unit.